There are a number of species of scorpions that are found in the homes especially in the places of United States. You may find the scorpions in a number of sizes and the colors. Most of the times, you will find the scorpions in the newly build homes or the homes that are found in the metropolitan places. 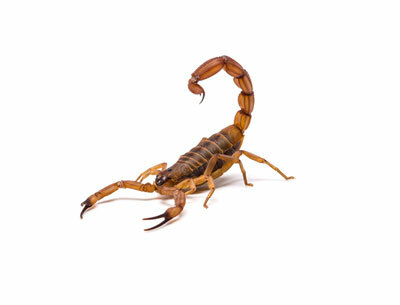 If you get any of the scorpion around your house, then it is recommended you to take precautions and get rid of these within limited time period. If you don’t want to kill your pests or the insects near you, then you can move them to the cans and after moving them to the cans, you can through them away. If you don’t want to do this, you can call for the professional services for this task. Following are some of the important tips by which you can have the Scorpion Pest Control Las Vegas around your space. First of all, it is recommended that you should avoid the standing water in your newly built home. Even if your home is not newly build, still you must not allow the water to stay at your place. The crevices and the cracks should be sealed properly because the scorpions used to stay in the cracks on the back side of the doors and the windows. Don’t forget the hidden places in your home. The closets, the dark places and the insides of the cabinets are also affected from the scorpions, if you don’t check and clean these places after regular time period. The brushes, debris and other materials related to the firewood should be also kept away as the scorpions are always attracted to these places. Scorpions love to eat crickets so it is recommended that you kill all the crickets and other related insects so that you can avoid all the crickets in your home. Use the natural ways to get rid of the pests and insects. Use Chemical control processes to avoid the pests and related insects. Ranger Pest Control offer you the best pest control services in your home. If you are looking for any such elimination, then go for their services. You will get amazing results.